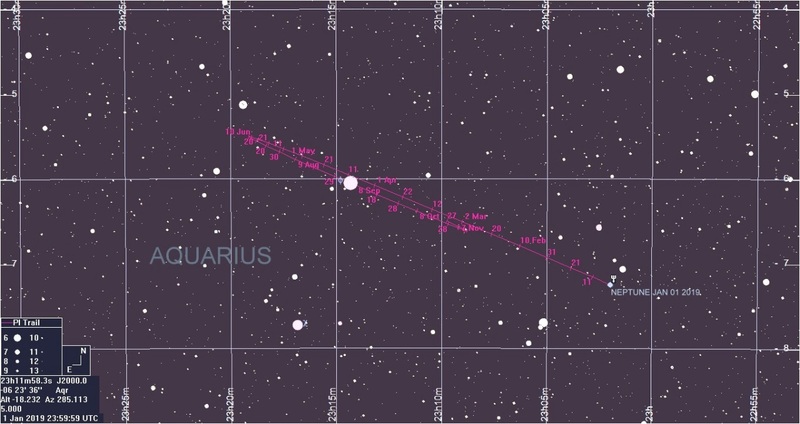 Path of URANUS in 2019. The time ticks are at 10 day intervals. Click to enlarge. RA and Decl. Chart, NORTH is up. Generated using GUIDE 9 software. 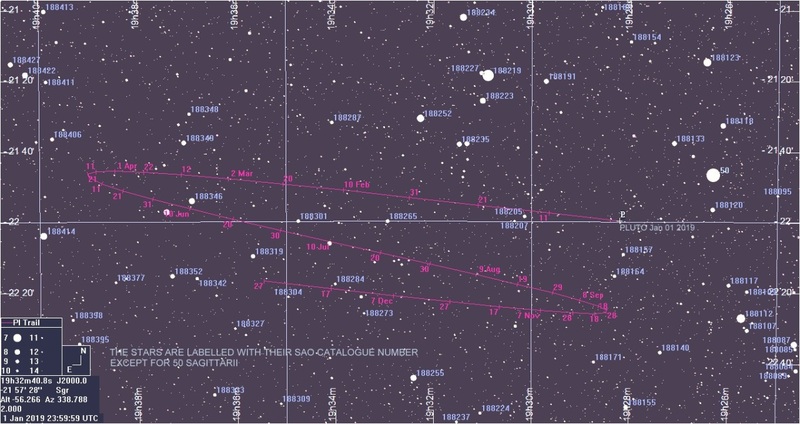 Path of NEPTUNE in 2019. The time ticks are at 10 day intervals. 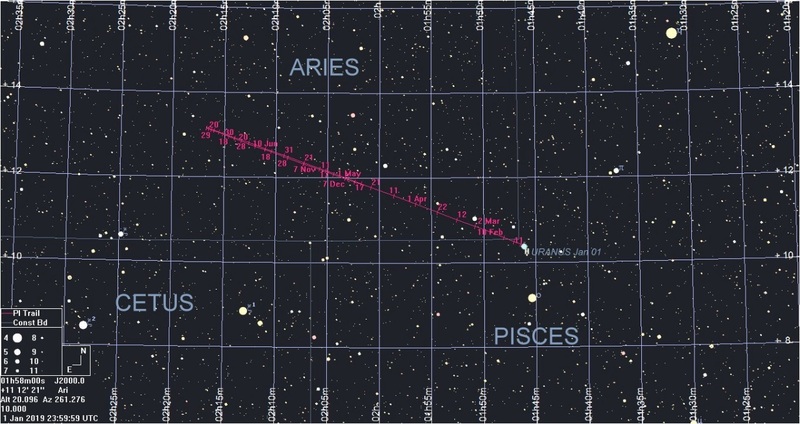 RA/Declination Chart. North is up. PLUTO, with its 5 satellites: I still consider Pluto to be a planet even though it has been demoted by the International Astronomical Union, when that body decided to draw up a set of criteria in order to define the qualifications a body must have in order to be defined as a planet According to the IAU, Pluto is a dwarf planet or plutoid, the name given to all the Trans-Neptunian bodies.